The thing about being a token American in France is all of my French friends keep me posted on all the American happenings in Paris. I am always the first to know about the latest burger truck, American steakhouse, Breaking Bad spoilers, and cupcake depot. Since I have never thought about chili cheese anything in my four years in France, I am always hesitant to eat at American restaurants. For me, it is peculiar that eating something like Korean makes me far more sentimental for home than an uninspired burger on an industrial bun. But for months, I had two French friends raving about the latest attempt at American at Little Kitchen in Montreuil (80 rue de Paris 93100 Montreuil). With a farm-to-table mentality and an airy “New York” storefront ambiance, this little café has a delicious, mixed bag of a menu. With American standards like chicken Caesar salads, beef burritos, and cheeseburgers alongside a mushroom and cheese tartine, a Japanese shrimp salad, and mysterious daily specials, everything is inspired and freshly prepared. I was nervous ordering a BLT, a sandwich whose most exciting component is often its slathering of mayonnaise. But I was pleasantly surprised to discover juicy tomato, micro greens, and crispy bacon all on a grainy, grilled country bread. Unfortunately, their hours of operation do not yet go into the evening hours (Monday-Friday 11:00am-7:00pm). But with a little planning, the Little Kitchen hosts a brunch not to be missed the first Sunday of the month from 10:00am-3:00pm. Oh, and it is cheap. It is easy to eat for under 10 euros. Make an afternoon out of it, do not miss the bargains at the Montreuill flea market every Saturday, Sunday, and Monday. 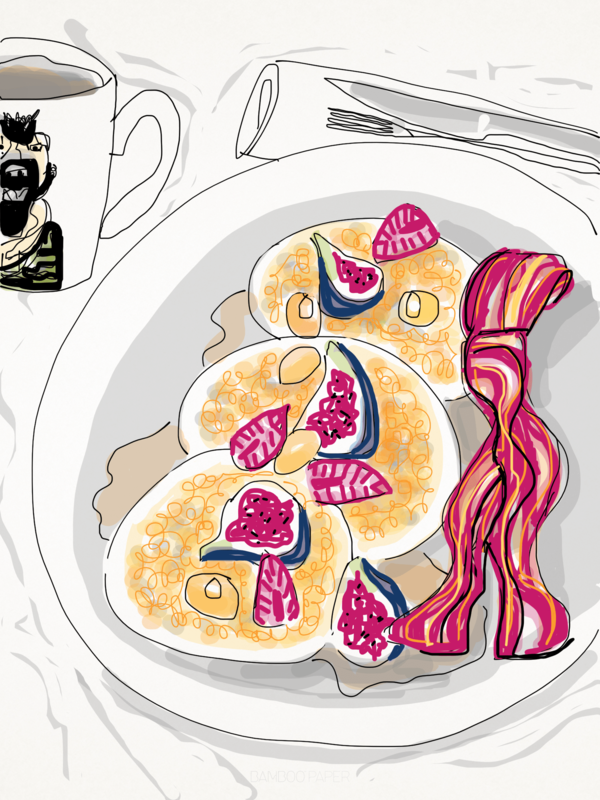 But BLTs are one of the easiest, foolproof things to whip up at home. 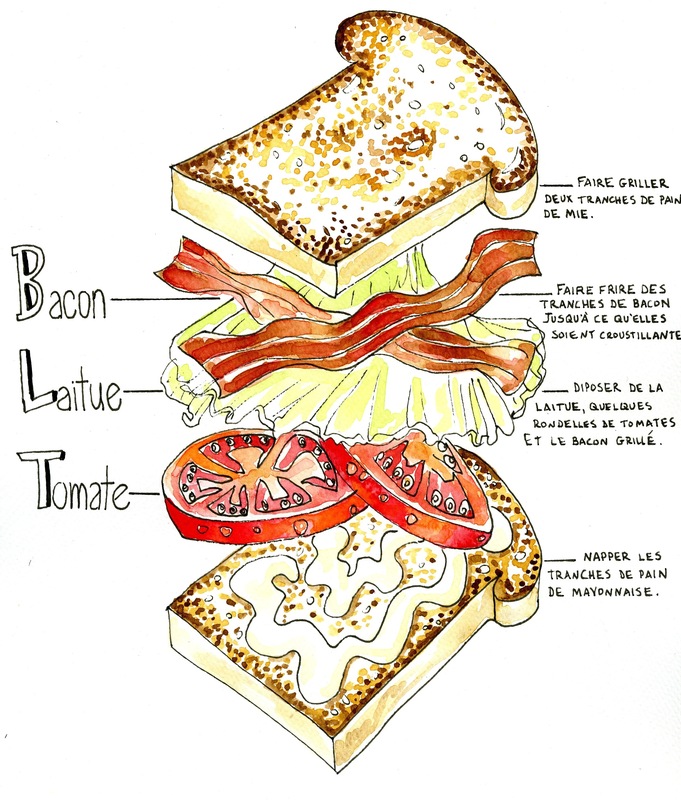 I would apologize for putting the recipe in French, but a BLT is kind of a commonsense sandwich.